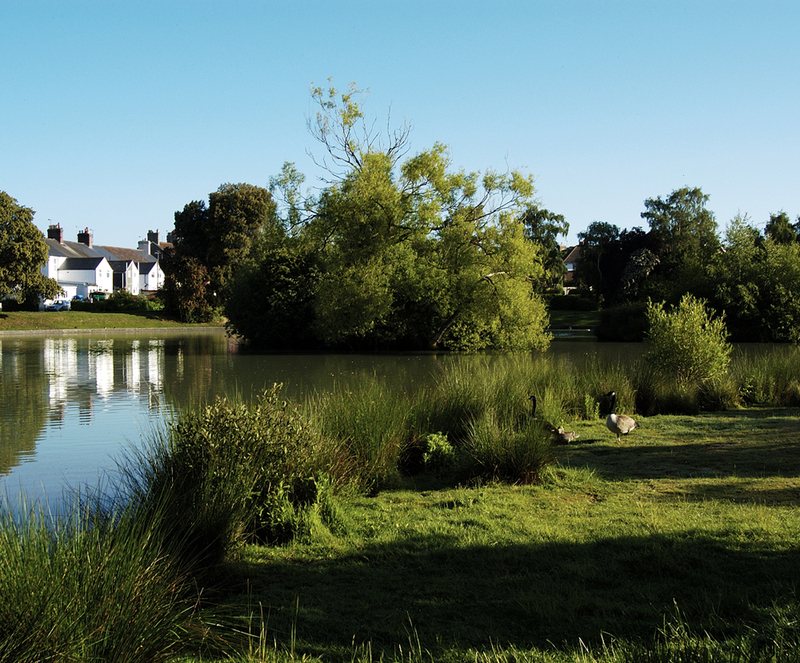 The Common Pond has been a focal point in Hailsham for centuries and is considered to be the town’s “Jewel In The Crown”. 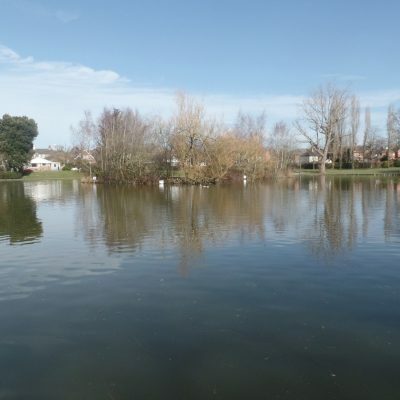 Major improvement works to the 1.86 acre site began in 1996 with the draining of all water in the pond and the removal of approximately 2,500 cubic metres of silt. The pond base was then excavated and surplus clay used to extend the existing central island, before the construction of a second island and a sloping marginal wetland area along and over a section of the south perimeter wall. Phase 2 of the Town Council’s Common Pond improvement project commenced in May 1997, when the hard surface path was provided all around the pond and benches installed. Additional shrubs were then planted along the pond edge, on the islands and within the water to create an environment to encourage wildlife to the area and increase local biodiversity levels. The pond attracts a myriad of wildlife species including amphibians, dragonflies and other insects. Herbacious plants such as the marsh marigold, iris and various rushes, as well as a host of indigenous shrubs, provide additional cover to the waterfowl residing in the area, and help improve natural erosion. To assist with the prevention of Canada geese colonisation of the islands, and to encourage vertebrates and perhaps attract birds such as the sedge warbler and reed bunting, a fringe of common reeds has been planted around the islands. The Town Council is proud of its achievements at the Common Pond site, which during the period between 1995 and 1998 saw the transition of the area from a rather raw and uninviting state. In January 2006, the Town Council undertook a survey of the site and, on the advice from the Environment Agency, additional work to improve and consolidate the island banks was considered a necessity to prevent further erosion. This was achieved by planting aquatic plants established in coir fibre rolls, around the banks of the islands. In 2013/14, the Town Council carried out a series of works at the Common Pond to improve drainage of the circular path, make access via slippery pathways safer and suitable for wheelchairs and pushchairs, manage the problems associated with large numbers of Canada Geese and worked with Hailsham in Bloom (now Environment Hailsham) to plant more trees and develop the existing arboretum. The Town Council is always happy to receive any donations to maintain this beautiful location. The Town Council employs a part-time Pond Warden who monitors the site and reports problems or concerns about the area to the Town Council. Additional information is available to the public free of charge from the Town Council Offices.